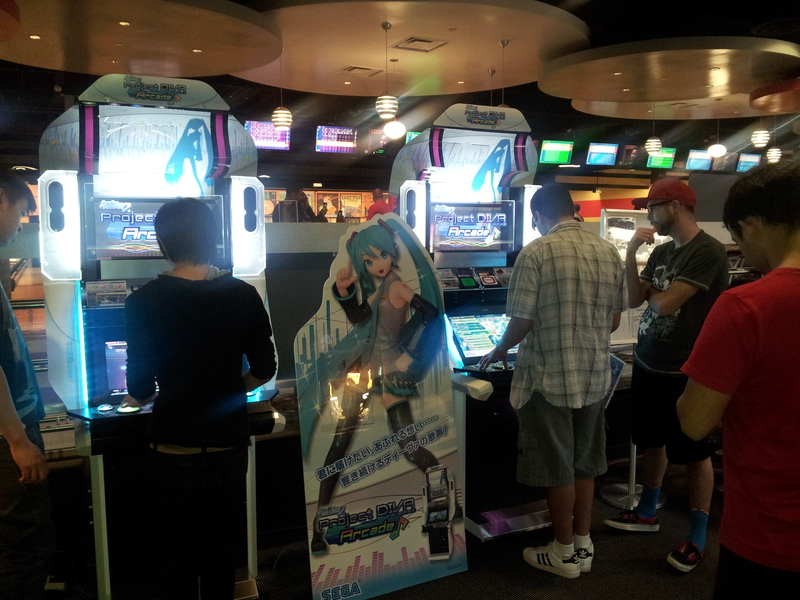 Project Diva is getting a location test at Round 1 Arcade in the Puente Hills Mall, in City of Industry, California. There are two machines set up in full view of the main entrance of the arcade, and line to play both of them that occasionally dips into the double digits. 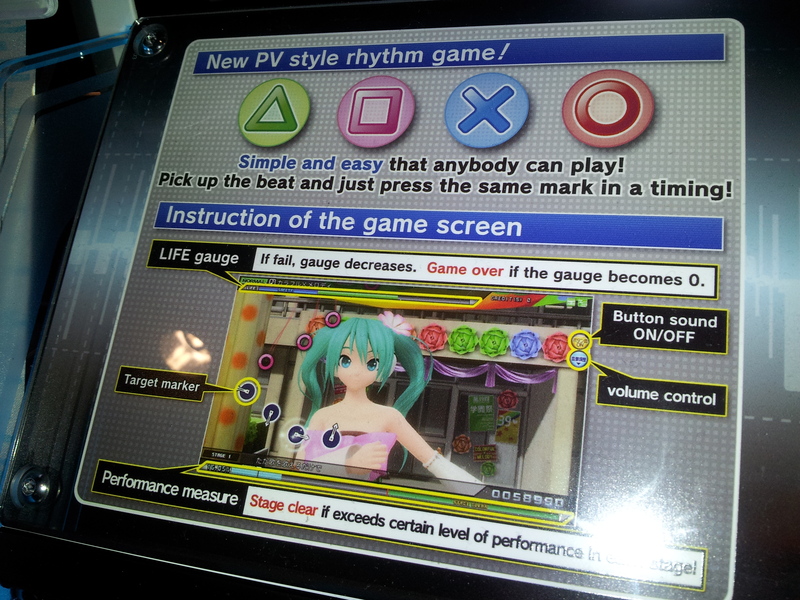 Project Diva was teased at E3 at Sega’s booth for the PlayStation Vita. Later, Sega reps said that the game was just at their booth as a tech demo, and they had no plans to release the game in America. However, the game is available to play now, and the location test runs through March 21, at a cost of $1 per play. Project Diva is actually a relatively simple game to play. Icons based on the 4 PlayStation face buttons appear on screen. As the indicators cross the icons, you simply have to press the corresponding button. Sometimes you’ll have to hold a button, and sometimes you’ll have to press more than one button at the same time, but that’s it. 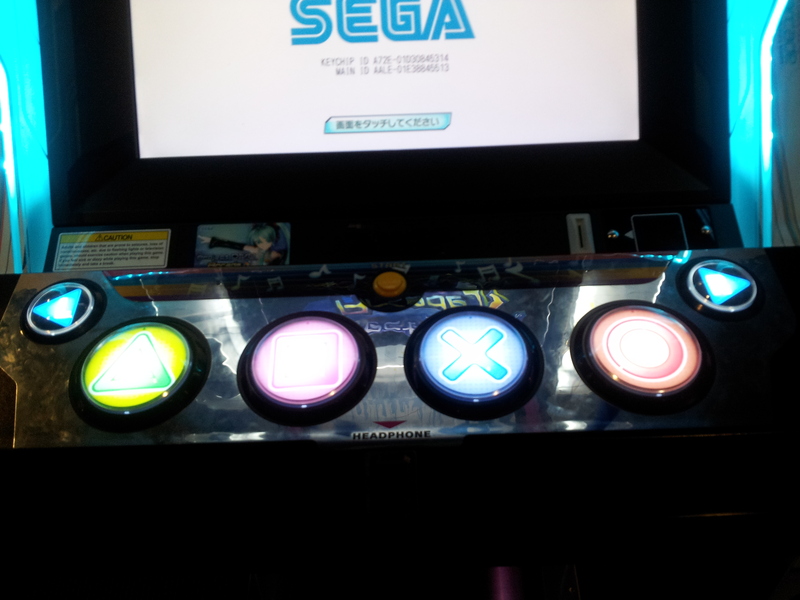 The game feels like it’s easier than other games of its ilk, like Beatmania IIDX, DJ MAX Technica, and Pop’n music. The clear draw of the game are the crowd-sourced songs in the vocaloid repretoire, and the large screens featuring Hatsune Miku and friends singing, dancing, and various other antics. Like with many other modern arcade titles, you can save your high scores and other progress using either a Project Diva Arcade card, which Round 1 has in limited supply for free, or a Bana Passport, which can also be used with Tekken Tag Tournament 2, and costs $7.